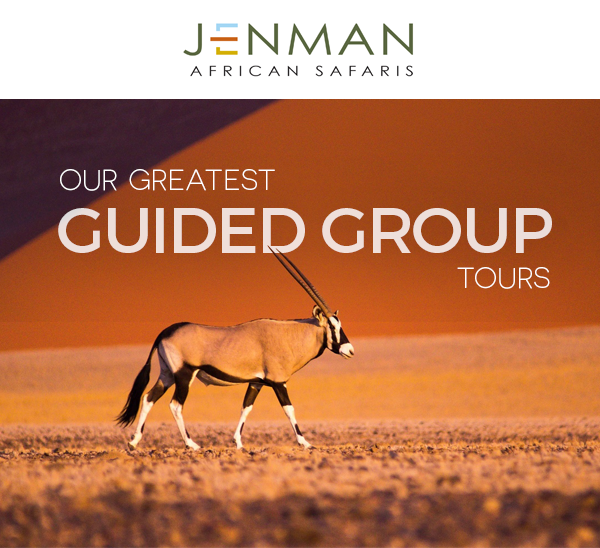 Jenman African Safaris offers a range of Guided Group Safaris throughout Southern Africa, East Africa, and Madagascar. These tours with set departures are expertly designed for travellers who want to see the highlights of a country, or in some cases even more than one country, whilst having an exceptional guide provide valuable insight along the way. These safaris are often a more affordable solution to tailor-made travel and give guests the opportunity to travel with like-minded people whilst experiencing the beauty and allure of the African continent. We've compiled the highlights of some of our most popular tours to give you a comprehensive overview and enable you to select which is best for your client. 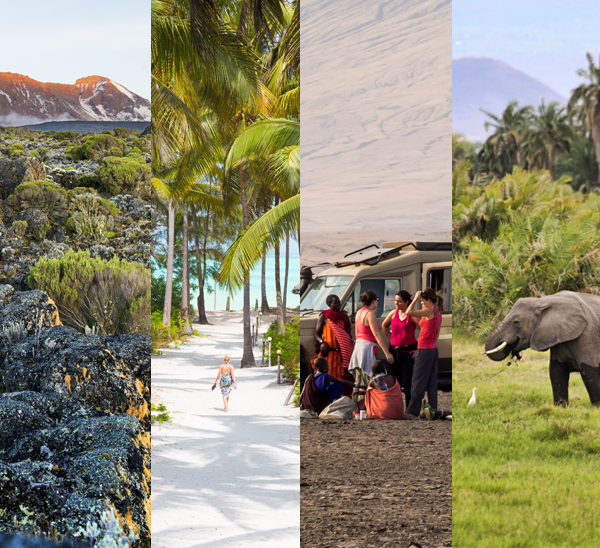 With this wide selection of Guided Group Safaris, how could one possibly choose? Our website and brochure has all the information you need, but to save you time and provide you with an additional tool we have created a downloadable "cheat sheet" that lists the main unique selling points for each of our safaris.This allows you to give your guest a quick overview if they are unsure which tour to choose. Some unique selling points include extensive visits to Hwange National Park, a national park that is less travelled and therefore offers a more exclusive experience; tracking rhino on foot as a unique experience or even involvement in community projects. Each of our tours offers something unique. Ntando has been a Jenman guide since 2010 and is one our very best. But don't just take our word for it, read this high praise a recent guest had for him: "What made our trip exceptional was our guide, Ntando Hlabangani. Ntando was an excellent guide, He was very well informed about wildlife, local issues, geology, botany wildlife parks and day to day living in Africa all of which he shared with us. Ntando was friendly, always smiling, had a great sense of humour, was very professional and made sure our needs were met. Ntando's excellent guided tour through Victoria Falls was filled with history and a look at the past, present and future of the Falls was one of the highlights." Cape Town is currently experiencing one of the worst droughts in its history and local residents have been urged to drastically reduce water usage, or Day Zero - the day when no water will pour from the taps - will be upon us as soon as May 2018. 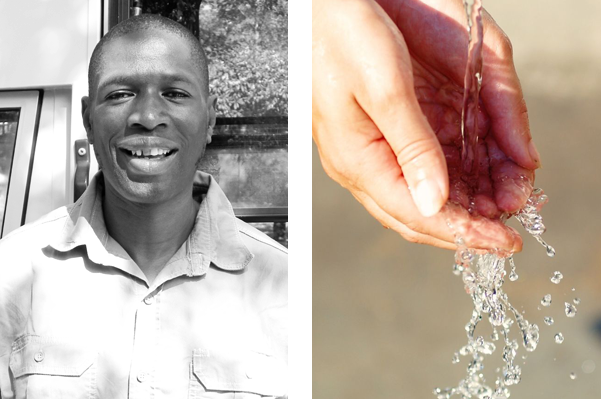 T. As a company dedicated to conservation and sustainability, we had already been practicing water saving measures. But now, due to the drought that is affecting the Western Cape, we have implemented even more water saving measures, such as installing rain tanks and a well point, with the goal to go completely go off-the-grid and be self-sustainable when it comes to water usage. The festive season is fast approaching and while for many of us in the travel industry that usually means exotic trips or some much needed time off, it's important to think of the less fortunate as well. When people struggle to make ends meet on a day-to-day basis, a carefree overseas holiday is only a distant dream. For them, we would still like to spread some festive cheer and one of the wonderful ways to do that is through the Santa Shoebox Project. The charitable project that originally started in Cape Town is now in its 11th year and has received a total of 652 180 Santa Shoeboxes for children in that time. 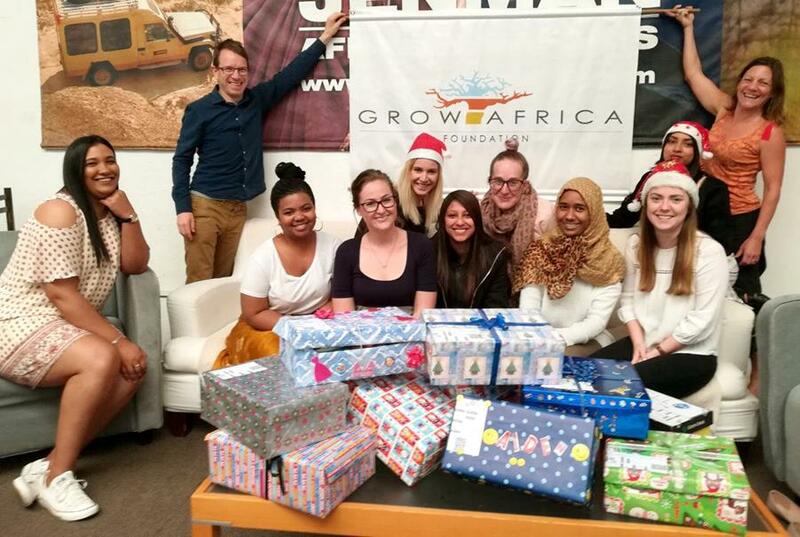 Jenman African Safaris through our NPO, Grow Africa, have joined the festive cheer, with each department putting together a Santa Shoebox to be donated to children in need. We have updated the transfer rates on the Southern Africa pre- & post tours for 2018. The rates are per transfer, per way. Clients will therefore be paying either the 1-3 pax rate or the 4-7 pax rate. There is no actual change in the rate, instead, we are not charging per person anymore. Please download the new rate sheet from the agent portal.